Optimum HealthCare is concerned about your health and wellness. The health professionals and clinics in our network in the Plano Area and surrounding cities share the goal of helping you to be pain free! We are here to match you with a wellness program and to health professionals ready to assist you in feeling better. If you suffer with back pain, carpal tunnel syndrome, shoulder injuries, knee injuries, neck pain headaches, numbness tingling, painful joints, sleep loss, bursitis, sports related injuries, work related injuries, or injuries resulting from an car accident in Plano or the surrounding cities, we can help you access the full range of treatment you need to improve your quality of life and get more health back into it. Been In An Accident in Plano? We believe that being healthy means more than being pain free—it is the ability to do what you need and want to in regaining quality of life through receiving treatment for your condition by health professionals of your choosing. Health professionals in our Plano network provide Chiropractic Care, Physical Therapy, Massage Therapy, and Car Accidents injury care in Plano, to help Back Pain and other joint pain injuries. Are you seeking fair compensation for your car accident in Plano? Then there are several things you need to know regarding what you’re entitled to, what the law states and what the process of receiving a settlement looks like. You may be entitled to receive partial or full compensation for your medical expenses, vehicle repair or replacement costs, lost income, psychological trauma, etc. One important step in receiving full compensation from an insurance company is to seek medical treatment immediately following your car wreck. Otherwise the insurance company could theoretically argue that your lack of treatment pursuance was partially responsible for your physical condition. Besides, why put off medical attention when your health is at stake? Your Plano doctor will most likely refer you to specialists or physical therapists if you exhibit chronic problems due to your car accident. It is highly advisable to attend all appointments and follow your doctor’s advice to the letter. While there are undoubtedly conscientious people working in the insurance business, remember that their allegiance and first priority is to the insurance company for whom they work. These adjusters and other insurance company representatives may be helpful, but keep your guard up and be careful what information you give to them. A personal injury attorney will be able to navigate you through this process and advise you on such matters. 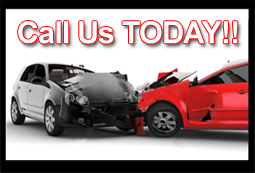 Fortunately, there are numerous, reputable car accident lawyers in Plano from which to choose. So when I was in a car accident in Plano, things got really bad for me. I had been rear ended and my back and neck were killing me after the accident. So much so that I started to worry. I had went to the MD after and all he prescribed me were pain meds. First thing, I am only into naturopathic medicine and the thought of taking any sort of drug made me worried out of my mind. But I took them to get rid of the pain. The pain was still there even after using medicine for a week. I didn't know what to do about covering my bills from the doctor or how the insurance even worked. So I did some searching and found OHC, with one call they helped me with treatment for my back and handled all my insurance information, and even arranged a lawyer to handle my case. They didn't charge me anything for whatever they did for me. They told me what they were doing and what to do when you are in a car accident. With treatment my back and neck pain lessened. They assisted me out through this difficult time.